Welcome to the Chin Na Store. 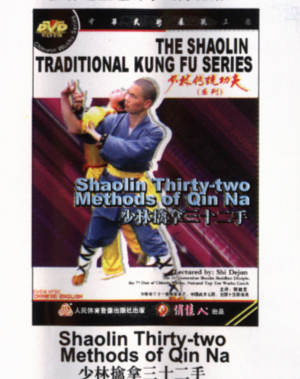 Chin Na is the Chinese art of grappling and joint manipulation and on this page you will find instructional books and DVDs to learn Chin Na. Qin Na is one of the four fight skill " kicking, hitting, throwing, (Na) catching" in Wushu. Its main way is to catch the tendon or twist joint, which let the adversary fold joints and hurt hardly, loosing his ability to resist. It contents thirty-two forms such as catching wrist, elbow, knee and head, etc. There are the fight skills that are particular for both catching and throwing. The Catching and Holding Paired Practice is a kind of combating techniques in boxing. It is a technique in which you use all kinds of methods to force one of the opponent's coordination to move beyond the general moving scope of the body's conformities, and then it would make him lose the ability to resist because of great pain. Its techniques mainly contain chopping, pointing, pulling, catching, blocking, shutting, cutting, buckling and so on. Click picture for more info. Liu Jin Sheng. CHIN NA FA: Skill of Catch and Hold. The book "CHIN NA FA" was written by Liu Jin Sheng in collaboration with Zhao Jiang. The first edition of the book was issued in July of 1936 as a manual for the Police Academy of Zhejiang province. 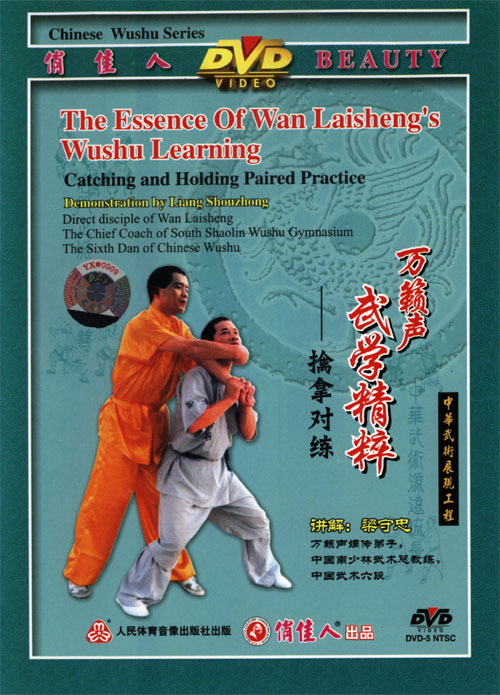 The book was printed by the publishing house Shan Wu in Shanghai.Techniques of CHIN NA include a wide set of various movements: press and blows on vulnerable points, grappling, strangling, throws and so on. That set of movements (impacts on the enemy) allows to realize the following methods: "Separation (tearing) of muscles and sinews" (FENG JING), "Dislocating (breaking out) of bones and joints" (YU GU), "Suffocation" (BI QI) and "Impacting on points" (DIAN XUE). Also, those methods must be used skillfully, not just with brute force. Both army and police always attached great importance to this art. The introduction to the book says: "Initially this skill had several names: FENG JING FA - "The technique of separation (breaking) of muscles and sinews"; DI TANG FA - "Methods of combat when lying on the ground"; YU GU FA - "The technique of dislocation (breaking out) of bones and joints" and CHIN NA FA - "The technique of catch and hold." At present the name CHIN NA FA has predominantly become established. Totally, there are 72 methods. The ancient manuscript calls this skill DI SHA SHOU - "Devil's Hand". Specialists in WU SHU say there are 36 "big" and 72 "small" points on a human body. 36 positions, 72 positions and 108 positions (techniques) are also marked out in CHIN NA FA. That traditional division has been maintained till now since long time when our ancestors created the theory of CHIN NA on the basis of the conception 36 TIAN GANG and 72 DI SHI. But actually, that is only a tribute to tradition that has no great practical significance. Click the picture (top left) to buy this ebook.